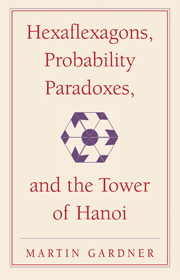 Hexaflexagons, Probability Paradoxes, and the Tower of Hanoi is the inaugural volume in The New Martin Gardner Mathematical Library series. Based off of Gardener's enormously popular Scientific American columns, his puzzles and challenges can now fascinate a whole new generation! 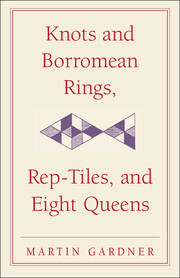 Paradoxes and paper-folding, Moebius variations and mnemonics, fallacies, magic square, topological curiosities, parlor tricks, and games ancient and modern, from Polyminoes, Nim, Hex, and the Tower of Hanoi to four-dimensional ticktacktoe. 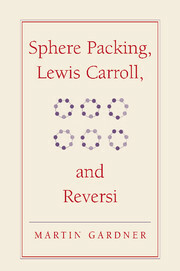 These mathematical recreations, clearly and cleverly presented by Martin Gardner, delight and perplex while demonstrating principles of logic, probability, geometry, and other fields of mathematics. 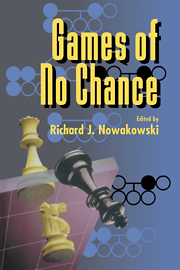 Now the author, in consultation with experts, has added updates to all the chapters, including new game variations, mathematical proofs, and other developments and discoveries. 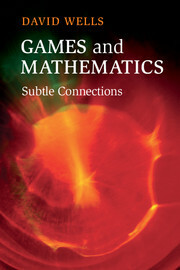 "Martin Gardner's fifteen volumes about Mathematical Games are The Canon - timeless classics that are always worth reading and rereading." "Gardner himself downplays his mathematical ability, arguing that he is “strictly a journalist.” Which is about the only piece of unintentional nonsense he has ever written. Gardner will go down in history as one of the most significant mathematicians of all time and the combination of the gems in this collection is an airtight proof of that fact." "Gardner was a model teacher of mathematics, pushing others to take interesting side explorations, solve challenging problems, and enjoy the beauty of mathematics. Thus, this reviewer applauds the republication of his genius in "The New Martin Gardner Mathematical Library" series, complete with revised explanations, new insights, up-to-date reference links, and brief surveys of recent discoveries... it is worth getting the new editions and sharing these new gems!" 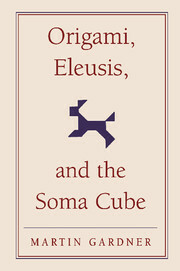 "It is hard to exaggerate the importance and influence of these books. These books are fascinating, useful, fun, and historically significant. You must have them! Buy one for yourself, and buy many to give away. Have your students read them. Give a set to your local high school (they'll be published over five years, so it won't even be a financial burden). Time has passed, and a generation that knoweth not Gardner has arisen. Now we can fix that." "Many articles may be of interest even to the (mathematically sophisticated) readers of my column since (1) they are so well written, (2) they are classic, and (3) there is often a kernel of knowledge that you didn't quite know." "While Martin Gardner has always called himself "strictly a journalist," he should really be honored as one of this country's greatest cultural treasures." For 25 of his 90 years, Martin Gardner wrote 'Mathematical Games and Recreations', a monthly column for Scientific American magazine. These columns have inspired hundreds of thousands of readers to delve more deeply into the large world of mathematics. He has also made significant contributions to magic, philosophy, debunking pseudoscience, and children's literature. He has produced more than 60 books, including many best sellers, most of which are still in print. His Annotated Alice has sold more than a million copies. He continues to write a regular column for the Skeptical Inquirer magazine.